Docker makes it easy to wrap your applications and services in containers so you can run them anywhere. As you work with Docker, however, it's also easy to accumulate an excessive number of unused images, containers, and data volumes that clutter the output and consume disk space. Docker doesn't provide direct cleanup commands, but it does give you all the tools you need to clean up your system from the command line. This cheat sheet-style guide provides a quick reference to commands that are useful for freeing disk space and keeping your system organized by removing unused Docker images, containers, and volumes. 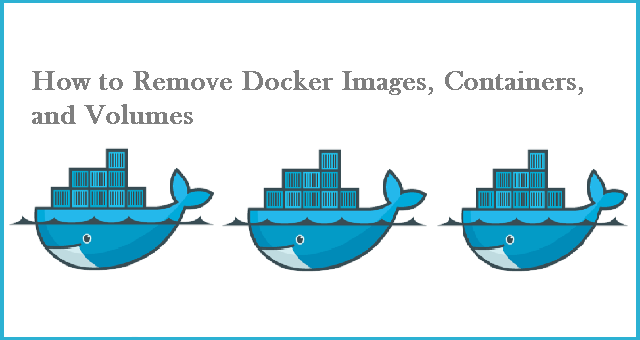 This guide covers some of the common commands used to remove images, containers, and volumes since Docker 1.9. There are many other combinations and flags that can be used with each. For a comprehensive guide to what's available, see the Docker documentation for docker rmi, docker rm and docker volume rm. If there are common cleanup tasks you'd like to see in the guide, please ask or make suggestions in the comments.